Thank you for your interest in LouderVoice’s Services. Your registration for, or use of, the Service shall be deemed to be your agreement to abide by this Agreement including any materials available on the LouderVoice websites incorporated by reference herein, including but not limited to LouderVoice’s privacy and security policies. For reference, a Definitions section is included at the end of this Agreement. YOU AGREE TO THE FOLLOWING TERMS AND CONDITIONS WHICH CONSTITUTE A LEGALLY ENFORCEABLE SaaS AGREEMENT (THE “AGREEMENT”) GOVERNING YOUR USE OF LouderVoice’s ONLINE SERVICE (THE “SERVICE”). IF YOU ARE ENTERING INTO THIS SaaS AGREEMENT ON BEHALF OF A COMPANY OR OTHER LEGAL ENTITY, YOU REPRESENT THAT YOU HAVE THE COMPLETE AUTHORITY TO ENTER INTO THIS AGREEMENT ON BEHALF OF YOUR COMPANY. IF YOU ARE USING THE SERVICE AS AN INDIVIDUAL, YOU REPRESENT THAT YOU ARE OVER THE AGE OF 18. AS USED IN THIS AGREEMENT, THE TERM “GRANTEE” ENCOMPASSES THE ENTITY OR PERSON RESPOSIBLE FOR THIS ACCOUNT AND EACH USER ACCESSING THE SERVICE BY MEANS OF A VALID ACCOUNT ESTABLISHED BY YOU, INCLUDING, IF YOU ARE A CORPORATION, ALL EMPLOYEES OF YOUR CORPORATION. IF YOU DO NOT HAVE THE REQUESITE AUTHORITY, OR IF YOU DO NOT AGREE WITH THESE TERMS AND CONDITIONS, YOU MAY NOT USE THIS SERVICE. Privacy & Security LouderVoice’s privacy and security policies may be viewed at /. LouderVoice reserves the right to modify its privacy and security policies in its reasonable discretion from time to time. LouderVoice occasionally may need to notify users of important announcements such as password changes. Grant of Rights; Term and Restrictions Pursuant to the terms and conditions of this Agreement, LouderVoice hereby grants Grantee a limited, non-exclusive, non-transferable, worldwide right to use the Service, solely for Grantee’s own business purposes (“Grant”). This Grant shall be for the period of months Grantee selected on the Order Form attached hereto and made a part hereof, which shall not be less than one (1) month, and shall commence on the Effective Date (“Initial Term”), and will be automatically renewed for successive terms of the same number of months (“Renewal Term”) unless terminated by either party upon at least thirty (30) days prior written notice to the other party. LouderVoice and its licensors reserve all rights not expressly granted to Grantee. Grantee shall not (i) license, grant, sell, resell, transfer, assign, distribute or otherwise commercially exploit or make available to any third party the Service in any way; (ii) reverse engineer or access the Service in order to (a) build a competitive product or service, (b) build a product using similar ideas, features, functions or graphics of the Service, or © copy any ideas, features, functions or graphics of the Service; (iii) modify or make derivative works based upon the Service or the Content. The Service LouderVoice will provide Grantee with use of the Service, including a browser interface and data encryption, transmission, access and storage, in the Service Tier selected by Grantee in the Order Form. LouderVoice makes no guarantees as to the continuous availability of the Service or of any specific feature(s) of the Service. LouderVoice will inform User of any significant changes to the Service or terms and conditions of this Agreement that it may make from time to time. Internet Delays The Service may be subject to limitations, delays, and other problems inherent in the use of the Internet and electronic communications. LouderVoice is not responsible for any delays, delivery failures, or other damage resulting from such problems. Grantee’s Responsibilities Grantee is responsible for all activity occurring under Grantee’s User accounts and shall abide by all applicable local, state, national and foreign laws, treaties and regulations in connection with Grantee’s use of the Service, including those related to data privacy, international communications and the transmission of technical or personal data. Grantee shall: (i) notify LouderVoice immediately of any unauthorized use of any password or account or any other known or suspected breach of security; (ii) report to LouderVoice immediately and use reasonable efforts to stop immediately, any copying or distribution of Content that is known or suspected by Grantee or any User under this Grant; and (iii) not impersonate another LouderVoice User or provide false identity information to gain access to or use the Service. Account Information and Data By this Grant, LouderVoice does not attain ownership in any data, information or material that Grantee submits to the Service in the course of using the Service (“Client Data”). 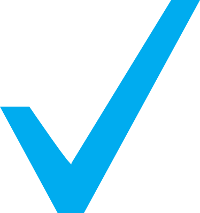 Grantee, not LouderVoice, shall have sole responsibility for the accuracy, quality, integrity, legality, reliability, appropriateness, and intellectual property ownership or right to use of all Client Data, and LouderVoice shall not be responsible or liable for the deletion, correction, destruction, damage, loss or failure to store any Client Data. LouderVoice shall use reasonable efforts to protect Client Data behind a secure system and to conduct daily data backups. In the event this Agreement is terminated (other than by reason of Grantee’s breach), LouderVoice will make available to Grantee a file of the Client Data within 30 days of termination if Grantee so request in writing at the time of termination. Grantee agrees and acknowledges that LouderVoice has no obligation to retain the Client Data, and may delete such Client Data, on the 31st day after termination. LouderVoice reserves the right to withhold, remove and/or discard Client Data, without notice, for any breach, including, without limitation, Grantee’s non-payment. Upon termination for cause, Grantee’s right to access or use Client Data immediately ceases, and LouderVoice shall have no obligation to maintain or provide any Client Data. If the Grantee chooses to make their reviews visible on LouderVoice’s web-sites, then LouderVoice is granted a non-exclusive, royalty-free, fully sub-licensable, fully paid up, worldwide license to use, copy, publicly perform, digitally perform, publicly display, and distribute reviews submitted to the Service via the Grantee’s site. and to prepare derivative works of, or incorporate into other works, such content, on LouderVoice’s web-sites and Service. This includes the indexing of such content on LouderVoice’s web-sites and Service by internet search engines. Intellectual Property Ownership LouderVoice alone (and its licensors, where applicable) shall own all right, title and interest, including all related Intellectual Property Rights, in and to the LouderVoice SaaS Technology, and the Service and any suggestions, ideas, enhancement requests, feedback, recommendations or other information provided by Grantee or any other party relating to the Service. The LouderVoice name, the LouderVoice logo, and the product names associated with the Service are trademarks of LouderVoice or third parties, and no right or license is granted to use them. This Agreement is not a sale and does not convey to Grantee any rights of ownership in or related to the Service, the LouderVoice SaaS Technology or the Intellectual Property Rights owned by LouderVoice. Grantee acknowledges that, except as specifically provided under this Agreement, no other right, title, or interest in these items is granted. Third Party Interactions and Links During use of the Service, Grantee or its User(s) may enter into correspondence with, purchase goods and/or services from, or participate in promotions of advertisers or sponsors showing their goods and/or services through the Service. Any such activity, and any terms, conditions, warranties or representations associated with such activity are solely between Grantee and/or User and the applicable third-party. LouderVoice and its licensors shall have no liability, obligation or responsibility for any such correspondence, purchase or promotion between Grantee, a User and any such third-party. LouderVoice does not endorse any sites on the Internet that are linked through the Service. LouderVoice provides these links to Grantee only as a matter of convenience, and in no event shall LouderVoice or its licensors be responsible for any content, products, or other materials on or available from such sites. This Grant to use the Service pursuant to the terms and conditions of this Agreement does not provide any license or agreement that may be required by third-party providers of ancillary software, hardware or services prior to Grantee’s use of or access to such software, hardware or services. Payment of Fees and Charges Grantee shall pay all fees or charges to Grantee’s account in accordance with the fees, charges, and billing terms in effect at the time a fee or charge is due and payable. The initial fee for the Grant of the right to use the Service (“Use Fee”) will be equal to the Use Fee currently in effect under LouderVoice’s current schedule of Use Fees for the Service Tier selected in the Order Form. The Use Fee will be payable in advance either monthly, quarterly, or annually, as Grantee selected in the Order Form, commencing on the Effective Date designated in the Order Form. LouderVoice will automatically bill Grantee’s credit card or issue an invoice to Grantee five (5) days in advance of the end of a billing period for payment of the Use Fee for the following billing period. Grantee is responsible for paying all Use Fees ordered for the entire Term, without regard to whether all Users are active. Grantee must provide LouderVoice with valid credit card or approved purchase order information as a condition to signing up for the Service. LouderVoice reserves the right to modify its fees and charges and to introduce new charges at any time, upon at least 30 days prior notice to Grantee, which notice may be provided by e-mail; provided however, that changes in the Use Fee shall not be applicable until the end of the existing Term. LouderVoice’s Use Fee and Charges are exclusive of all taxes, levies, or duties imposed by taxing authorities, and Grantee shall be responsible for payment of all such taxes, levies, or duties, excluding only federal or state taxes based solely on LouderVoice’s income. Grantee agrees to update billing and account information within 30 days of any change. That information includes Grantee’s legal company name, street address, e-mail address, and the name and telephone number of an authorized billing contact and Authorized Administrator. If the contact information Grantee provides is false or fraudulent, LouderVoice reserves the right to terminate Grantee’s access to the Service, in addition to any other legal remedies. If Grantee believes that the Fees or Charges to Grantee’s account are incorrect, Grantee must contact LouderVoice in writing within forty-five (45) days of the date of the charge in question, to be eligible to receive an adjustment or credit. All payments shall be in Euro currency. Non-Payment and Suspension In addition to any other rights of LouderVoice, LouderVoice reserves the right to suspend or terminate this Agreement and Grantee’s access to the Service if Grantee’s account becomes delinquent. Invoices and accounts that are delinquent are subject to interest of 1.5% per month (or the maximum permitted by law, whichever is less) on any delinquent balance, plus all expenses of collection. If Grantee’s use of the Service is suspended but not terminated, Grantee will be obligated for and agrees to pay the Use Fee for the balance of the full Term. If Grantee or LouderVoice terminate this Agreement and the Grant hereunder, Grantee agree to pay the balance due on Grantee’s account computed in accordance with the Payment of Fees and Charges provisions of this Agreement (Section 9 above), with the Use Fee for the Term prorated to the period of actual use. Grantee agrees that LouderVoice may charge such unpaid Fees and Charges to Grantee’s credit card or otherwise bill Grantee for such unpaid Fees and Charges. LouderVoice reserves the right to impose a reconnection fee in the event Grantee’s rights are suspended and thereafter requests access to the Service. Grantee agrees and acknowledges that LouderVoice has no obligation to retain Client Data and that such Client Data may be irretrievably deleted if Grantee’s account is 30 days or more delinquent. Termination a. Either party may terminate this Agreement, effective only upon the expiration of the then current Term, by notifying the other party in writing at least thirty (30) business days prior to the date of the end of the current Term. In the case of free trials, notifications provided through the Service indicating the remaining number of days in the free trial shall constitute notice of termination. b. Any breach of Grantee’s payment obligations or any use of the LouderVoice SaaS Technology or Service contrary to the terms and conditions of this Agreement and the License granted hereby will be deemed a material breach of this User Agreement. LouderVoice, in its sole discretion, may terminate Grantee’s password, account or use of the Service if Grantee breaches or otherwise fails to comply with this Agreement. LouderVoice may terminate a free account at any time in its sole discretion. Representations & Warranties Each party represents and warrants that it has the legal power and authority to enter into this Agreement. LouderVoice represents and warrants that it will provide the Service in a manner consistent with general industry standards reasonably applicable to the provision thereof and that the Service will perform substantially in accordance with the online LouderVoice documentation under normal use and circumstances. Grantee represents and warrants that Grantee has not falsely identified Grantee or any User nor provided any false information to gain access to the Service and that Grantee’s billing information is correct. Disclaimer of Warranties LouderVoice AND ITS LICENSORS MAKE NO REPRESENTATION, WARRANTY, OR GUARANTY AS TO THE RELIABILITY, TIMELINESS, QUALITY, SUITABILITY, TRUTH, AVAILABILITY, ACCURACY OR COMPLETENESS OF THE SERVICE OR ANY CONTENT. LouderVoice AND ITS LICENSORS DO NOT REPRESENT OR WARRANT THAT (A) THE USE OF THE SERVICE WILL BE SECURE, TIMELY, UNINTERRUPTED OR ERROR-FREE OR OPERATE IN COMBINATION WITH ANY OTHER HARDWARE, SOFTWARE, SYSTEM OR DATA, (B) THE SERVICE WILL MEET GRANTEE’S REQUIREMENTS OR EXPECTATIONS, © ANY STORED DATA WILL BE ACCURATE OR RELIABLE, (D) THE QUALITY OF ANY PRODUCTS, SERVICES, INFORMATION, OR OTHER MATERIAL PURCHASED OR OBTAINED BY GRANTEE THROUGH THE SERVICE WILL MEET GRANTEE’S REQUIREMENTS OR EXPECTATIONS, (E) ERRORS OR DEFECTS WILL BE CORRECTED, OR (F) THE SERVICE OR THE SERVER(S) THAT MAKE THE SERVICE AVAILABLE ARE FREE OF VIRUSES OR OTHER HARMFUL COMPONENTS. THE SERVICE AND ALL CONTENT IS PROVIDED TO GRANTEE STRICTLY ON AN “AS IS” BASIS. ALL CONDITIONS, REPRESENTATIONS AND WARRANTIES, WHETHER EXPRESS, IMPLIED, STATUTORY OR OTHERWISE, INCLUDING, WITHOUT LIMITATION, ANY IMPLIED WARRANTY OF MERCHANTABILITY, FITNESS FOR A PARTICULAR PURPOSE, OR NON-INFRINGEMENT OF THIRD PARTY RIGHTS, ARE HEREBY DISCLAIMED TO THE MAXIMUM EXTENT PERMITTED BY APPLICABLE LAW BY LouderVoice AND ITS LICENSORS. Limitation of Liability IN NO EVENT SHALL LouderVoice’s AGGREGATE LIABILITY EXCEED THE AMOUNTS ACTUALLY PAID BY AND/OR DUE FROM GRANTEE IN THE ONE (1) MONTH PERIOD IMMEDIATELY PRECEDING THE EVENT GIVING RISE TO ANY SUCH LIABILITY. IN NO EVENT SHALL LouderVoice AND/OR ITS LICENSORS BE LIABLE TO ANYONE FOR ANY INDIRECT, PUNITIVE, SPECIAL, EXEMPLARY, INCIDENTAL, CONSEQUENTIAL OR OTHER DAMAGES OF ANY TYPE OR KIND (INCLUDING LOSS OF DATA, REVENUE, PROFITS, USE OR OTHER ECONOMIC ADVANTAGE) ARISING OUT OF, OR IN ANY WAY CONNECTED WITH THIS SERVICE, INCLUDING BUT NOT LIMITED TO THE USE OR INABILITY TO USE THE SERVICE, OR FOR ANY CONTENT OBTAINED FROM OR THROUGH THE SERVICE, ANY INTERRUPTION, INACCURACY, ERROR OR OMISSION, REGARDLESS OF CAUSE IN THE CONTENT, EVEN IF THE PARTY FROM WHICH DAMAGES ARE BEING SOUGHT OR SUCH PARTY’S LICENSORS HAVE BEEN PREVIOUSLY ADVISED OF THE POSSIBILITY OF SUCH DAMAGES. Additional Rights Certain states and/or jurisdictions do not allow the disclaimer of warranties or limitation of liability, so the exclusions set forth above may not apply to Grantee. Mutual Indemnification Grantee shall indemnify and hold LouderVoice, its licensors and their parent organizations, subsidiaries, affiliates, officers, directors, employees, attorneys and agents harmless from and against any and all claims, causes of action, costs, damages, losses, liabilities and expenses (including attorneys’ fees and costs) arising out of or in connection with: (i) an allegation that use of the Client Data infringes the rights of, or has caused harm to, a third party; (ii) violation by Grantee of Grantee’s representations and warranties; or (iii) the breach by Grantee or any User(s) under Grantee’s Grant pursuant to this Agreement, provided in any such case, that LouderVoice (a) gives written notice of the claim promptly to Grantee; (b) gives Grantee sole control of the defense and settlement of the claim (except Grantee may not settle any claim, without LouderVoice’s consent, unless Grantee unconditionally releases LouderVoice of all liability and such settlement does not affect LouderVoice’s business or Service,); © provides to Grantee all available information and assistance; and (d) has not compromised or settled such claim. LouderVoice shall indemnify and hold Grantee and Grantee’s authorized Users, parent organizations, subsidiaries, affiliates, officers, directors, employees, attorneys and agents harmless from and against any and all claims, causes of action, costs, damages, losses, liabilities and expenses (including attorneys’ fees and costs) arising out of or in connection with: (i) an allegation that the Service directly infringes a copyright, a U.S., Irish or EU patent issued as of the Effective Date, or a trademark of a third party; (ii) a violation by LouderVoice of its representations or warranties; or (iii) breach of this Agreement by LouderVoice; provided in any such case, that Grantee (a) promptly gives written notice of the claim to LouderVoice; (b) gives LouderVoice sole control of the defense and settlement of the claim (except LouderVoice may not settle any claim, without Grantee’s consent, unless it unconditionally releases Grantee of all liability); © provides to LouderVoice all available information and assistance; and (d) has not compromised or settled such claim. LouderVoice shall have no indemnification obligation, and Grantee shall indemnify LouderVoice pursuant to this Agreement, for claims arising from any infringement alleged to be caused by the combination of the Service with any of Grantee’s products, service, and hardware or business process. Local Laws and Export Control The Service provided on the LouderVoice sites includes services and uses software and technology that may be subject to the export control regulations of the European Union. Grantee and each User of this site acknowledges and agrees that the site shall not be used, and none of the underlying information, software, or technology may be transferred or otherwise exported or re-exported to countries as to which the United States and/or the European Union maintains an embargo (collectively, “Embargoed Countries”). The lists of Embargoed Countries are subject to change without notice. By using the Service, Grantee represents and warrants that Grantee is not located in, under the control of, or a national or resident of an Embargoed Country. Grantee agrees to comply strictly with all U.S. and European Union export laws and assume sole responsibility for obtaining any necessary licenses to export or re-export. LouderVoice and its licensors make no representation that the Service is appropriate or available for use in other locations. If Grantee uses the Service from outside the United States of America and/or the European Union, Grantee is solely responsible for compliance with all applicable laws, including without limitation export and import regulations of other countries. Any diversion of the Content contrary to United States or European Union (including European Union Member States) law is prohibited. None of the Content, nor any information acquired through the use of the Service, is or will be used for nuclear activities, chemical or biological weapons or missile projects, unless specifically authorized by the United States government or appropriate European body for such purposes. Notice LouderVoice may give notice by means of a general notice on the Service, electronic mail to Grantee’s e-mail address on record in LouderVoice’s account information, or by written communication sent by first class mail or pre-paid post to Grantee’s address on record in LouderVoice’s account information. Such notice shall be deemed to have been given upon the expiration of 48 hours after mailing or posting (if sent by first class mail or pre-paid post) or 12 hours after sending (if sent by email). Grantee may give notice to LouderVoice (such notice shall be deemed given when received by LouderVoice) at any time by any of the following: letter sent by confirmed facsimile to LouderVoice at the following fax number: +353-87-9790297; letter delivered by nationally recognized courier service to LouderVoice at the following address: LouderVoice, 12 The Priory, Old Chapel, Bandon, Co Cork, Ireland, addressed to the attention of: Chief Operating Officer. Modification to Terms LouderVoice reserves the right to modify the terms and conditions of this Agreement or its policies relating to the Service at any time, effective upon posting of an updated version of this Agreement on the Service. Grantee is responsible for regularly reviewing this Agreement. Continued use of the Service after any such changes shall constitute Grantee’s consent to such changes. Assignment This Agreement may not be assigned by Grantee without the prior written approval of LouderVoice but may be assigned without Grantee’s consent by LouderVoice to (i) a parent or subsidiary, (ii) an acquirer of assets, or (iii) a successor by merger. Any purported assignment in violation of this section shall be void. General This Agreement shall be governed by the laws of Ireland, without regard to the choice or conflicts of law provisions of any jurisdiction, and any disputes, actions, claims or causes of action arising out of or in connection with this Agreement or the Service shall be subject to the exclusive jurisdiction of the courts located in Ireland. If any provision of this Agreement is held by a court of competent jurisdiction to be invalid or unenforceable, then such provision(s) shall be construed, as nearly as possible, to reflect the intentions of the invalid or unenforceable provision(s), with all other provisions remaining in full force and effect. No joint venture, partnership, employment, or agency relationship exists between Grantee or any User and LouderVoice as a result of this agreement or use of the Service. The failure of LouderVoice to enforce any right or provision in this Agreement shall not constitute a waiver of such right or provision unless acknowledged and agreed to by LouderVoice in writing. This Agreement, together with any applicable Order Form, comprises the entire agreement between Grantee and LouderVoice and supersedes all prior or contemporaneous negotiations, discussions or agreements, whether written or oral, between the parties regarding the subject matter contained herein. If you have questions regarding this User Agreement or wish to obtain additional information, please send an e-mail to info@loudervoice.com.